We bet you get sick and tired of being the ‘designated driver of the zodiac dear Capricorn. The sensible one. The responsible one. The one that always comes through for others. You’re a sign that’s kind of pre-programmed to feed off of continuity with that past, and stability of course, but what a treat we have for you in your 2019 horoscope, Capricorn. Not only will you be playing host to the luckiest planet of the lot, Jupiter, in December (more of that later) but you also have three eclipses in your sign this year, and the energy they emit readies for you change, and so you will be turning more of those metaphorical corners and closing those chapters and you’re going to be braver in your choices. These eclipses are bit like that little kitchen implement that you use to plunge into potatoes to remove the rotten bits before you cook them, so apply this to your life for a moment and doesn’t that sound like a tastier prospect? You’re also gonna be less bothered about clinging to outworn relationships that you’re only keeping going for nostalgia’s sake – and there’s liberation in letting each other go, and this might apply mostly to a friendship that’s been a bit awkward/ill-fitting for ages but that neither of you has particularly wanted to own up to. You might even fall back together in a few years, after a hiatus. You also have Saturn and Pluto in your sign so - and don’t tell the other 11 signs - you have so much to look forward to this year. What the eclipses are going to do is usher in changes within yourself and your relationships that you can manage with a steady rhythm and sustain it (thank you Saturn) and there’s also destiny involved here (thank you Pluto). This is a year when you turn your life around and when you can also grab life by the scruff of the neck and do the impulsive and spontaneous stuff that normally remains in the confines of your head (and because madcap Uranus is back in your sister sign of Taurus as of March). If you’ve had troubles at work, like with your colleagues, then this year is going to take steps towards fixing this situation. When Jupiter hits your sign in early December you’ll have three major planets in your sign, so this is gonna be a wonderful time for you, Cap! Isolating Jupiter’s influence, your life is going to open up and expand, or you’ll become more restless about life in general, or you won’t just make do and you’ll start to question more things about your life. Jupiter and Saturn and Pluto in your sign together will, we feel, make you immensely constructive and you’ll ooze something will make you stand out from the hoi polloi, so this is a great time to get a new job or a promotion, and Christmas 2019 could easily be a double celebration! The planet Jupiter inflates expectations and, well, everything else too really, so wish and hint big for presents this year and you might just get them, or a big reward of a different kind, not so much in the material sense. Love Horoscope 2019 promises to all you, dear Capricorns, that this is the year when you kind of see the romance in everything. Well mostly everything. That’s because you get a Venus visit fairly early on in the year, on February the 4th in actual fact, and she remains with you until the 2nd of March, setting what we happen to think will be a romantic and loving tone for the rest of the year, which is why romance will be at the top of your agenda. Get ready to dim the lights or keep then on, whichever one floats your boat, because those winter evenings will fly by thanks to this cosy little energy built for two. The first and most obvious thing we have to say about this is that you’re the lucky zodiac sign that plays host to the love planet for Valentine’s Day, so this year’s chocolates and flowers and cuddly toys might just knock previous gift hauls into a cocked hat because Venus is a very generous planet, let’s not forget. Getting on with your other half should be more of a breeze when Venus is clocking up air miles in your sign, and hopefully as well as gifts, you should also be getting the most precious – and cheapest! – gift of all: the gift of time/more attention. And we haven’t forgotten about all you single goats out there, and you might even get a card this year or, better still, meet someone who’s a bit of a card, and as well as funny, you could adding charming and gracious to the list too. And thoughtful. Venus’s partner in crime, the other love planet, Mars, won’t be paying your sign a visit this year at all, but you’re not really doing bad for planets in your sign this year as we already explained (like having Pluto and Saturn in your sign which combined kind of do a similar job as Mars anyway), so this is no great shakes. But you won’t be entirely insulated from the libido-enriching properties of Mars and when you will feel the energy-giving properties of Mars the most, however, is when he’s in your opposite sign of Cancer and this happens between the 17th of May until the 2nd of July. This is when other people take the initiative and propose something surprising or what seems rash to others, but in the spirit of love, romantic to you. Are you a single Capricorn? Check out Capricorn Single Love Horoscope 2019! 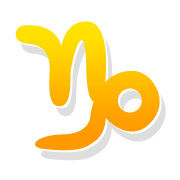 What else does 2019 horoscope hold for your love life, dear Capricorn? This is the time when someone rather selfishly wants you all to themselves, and if it’s your partner, this can take the form of demanding or diva-ish behaviour that perhaps has no truck with you, but they’ll try their luck anyhow. Lucky Jupiter’s blessings will come in very subtle ways. You’re going to adapt to any circumstances very well and even when times are uncertain you won’t lose your sense of hope, direction or trust. Jupiter in this part of your horoscope means that you’ll be projecting a caring image or that those saintly people who work in the caring professions will be lucky for you in 2019.